As a young entrepreneur who turned a small PR business into a highly successful, international communications firm, Jennifer Prosek has experienced firsthand the power of instilling an "owner's mind-set" in every employee. 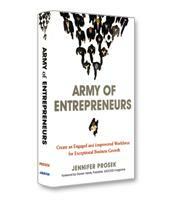 In Army of Entrepreneurs, Prosek presents an easy-to-follow action plan any company can use to build a workforce dedicated to generating new business, creating new products and services, and sustaining growth. 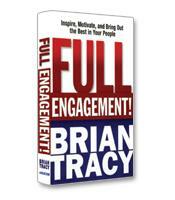 Filled with inspiring examples, the book shows readers how to: motivate, train, and reward their employees; provide everyone from interns to executives with the skills and support they need; and refresh and evaluate the program over time for continuous results. 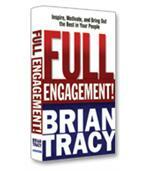 How to motivate, train and reward your employees. How to provide everyone — from interns to executives — with the skills and support they need. How to evaluate and refresh the program over time for continuous results. How to initiate a simple but effective incentive program that gets every member of the team actively involved in generating new business. How to develop internal training programs that foster an owner's perspective with a focus on how the business works, where the profits come from and how to identify new opportunities.